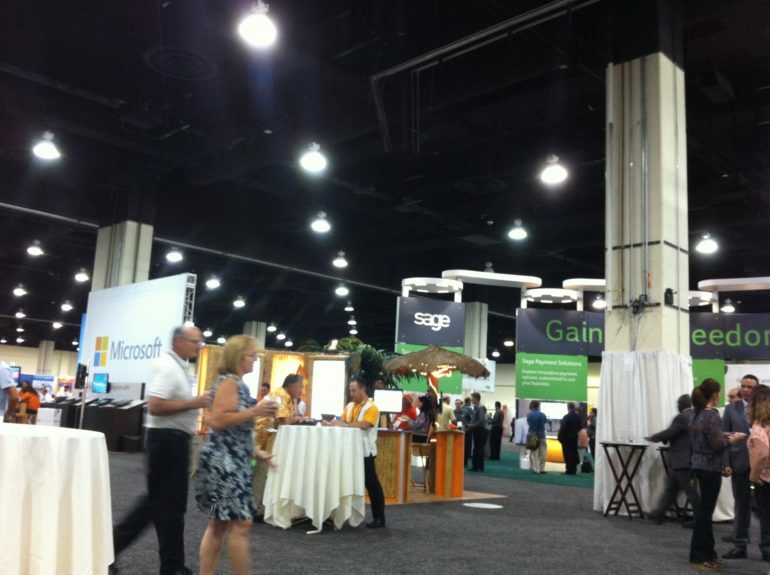 Now that we are back in New York City and have caught up with our daily routine, I wanted to share our experience at one of the best summits we have partnered with and participated in the last few months – Sage Summit 2013. 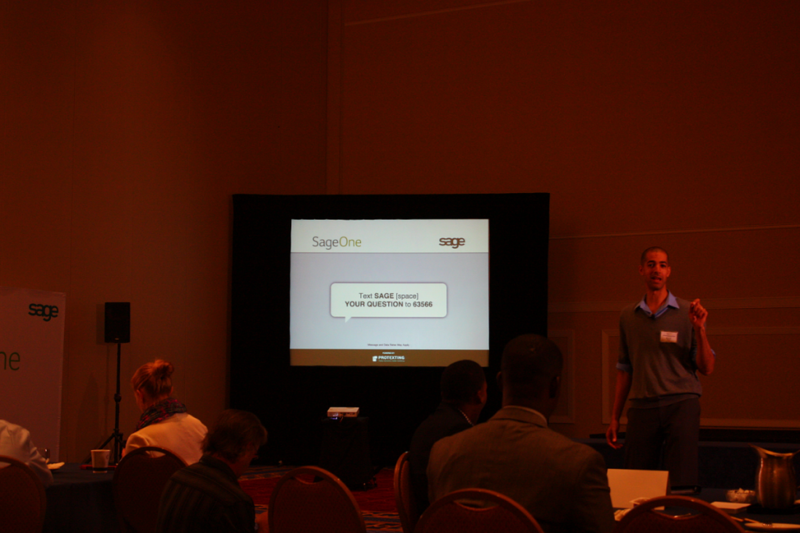 We were honored to have been invited to share our technology and expertise with the SageOne team. 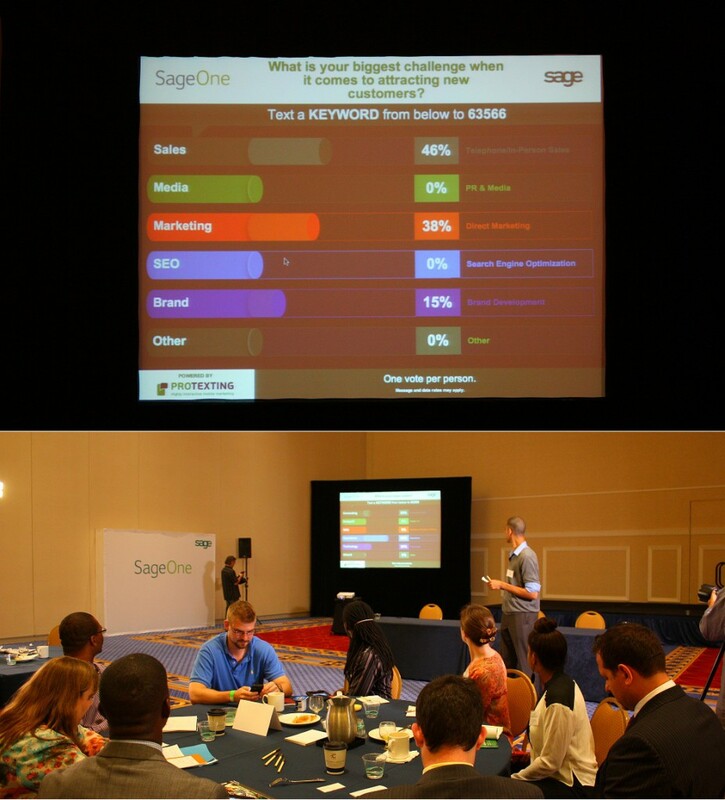 Both our teams, ProTexting and SageOne partnered on an event alongside with the Empact leadership, who helped organize and moderate the event. The goal of the SageOne EntrepreneursConnect session was to provide new and existing entrepreneurs of all sizes with a panel of different expertise from Social Media to money management and Investment advice. Michael Simmons led the discussions in a great Empact-style “masterminds” session. From the beginning of the session Michael set the stage and asked participants to text-in their questions for the panel. This was an excellent way of getting the audience to participate from the get go and include them in the discussion. The format works really well in sparking interesting discussions and answering questions. In order to keep the audience involved and interested different Mobile engagement types (such as Mobile Surveys, Text-In-Question, and Text-To-Screen) were leveraged throughout the session. Initially the audience was asked to vote few times via texting, while the results tabulated on the main stage screen in real time. Then the results were used to spark interesting “mastermind” conversations. The second interaction was designed specifically for the event. The questions the audience texted in were displayed on the screen by the main stage. The moderator would pick the ones he felt were relevant to the panel discussion, highlight them for the audience to see and address the panel. The list of questions kept growing as the sessions continued, as the audience could text in with questions at any time. This allowed the organizers to collect many more questions than they would have had with a traditional microphone Q&A. Later they would answer all the questions that came in. Having met very interesting business leaders and entrepreneurs at our event, we then turned our attention to the rest of the Summit. We met many more interesting and inspiring people throughout the Summit’s 6-day stretch. Several of Sage’s managers inspired us with innovative thinking and great vision for the future of their product and of the amazing following they have created. Aside from the networking and the business as usual I would like to talk about something that not too many people including me can talk about often. The rare moments when you get to truly connect with leaders in our community and have meaningful conversations about life experiences and heartfelt moments. Those are the moments that continue to inspire us, reinforce our ideas and give us wings. 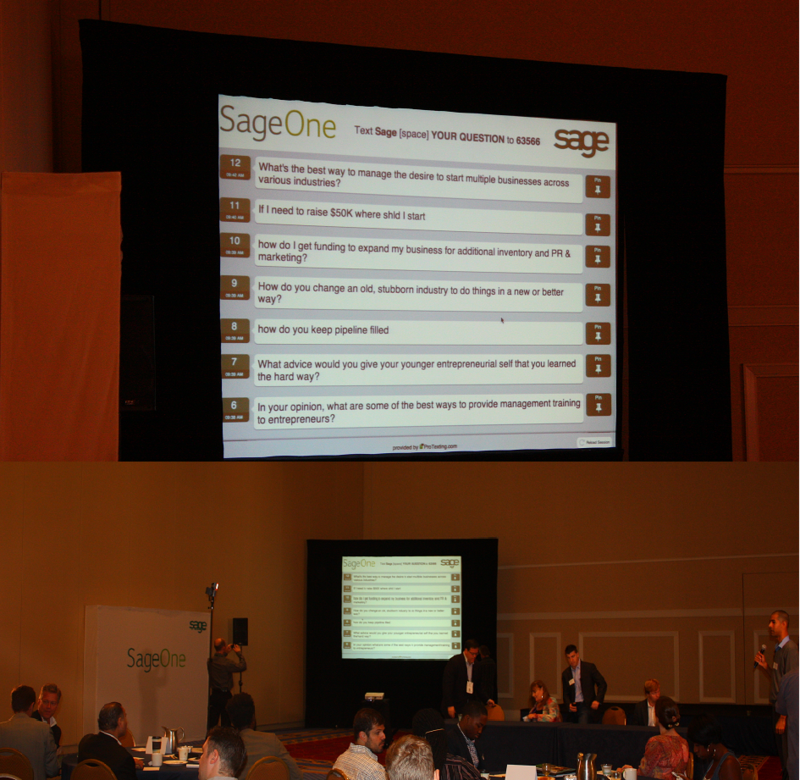 I would like to congratulate the team at Sage and SageOne for attracting such a talented mix of people to their summit.